The Regional Council of Île de France. The Research Commission of the University of Paris 13, Sorbonne Paris Cité. The Faculty of Law, Social and Political Sciences and the Centre forStudies and Research in Administrative and Political Sciences (CERAP), University of Paris 13, Sorbonne Paris Cité. The Centre for Research on English Studies (CREA) of the University of Paris West Nanterre and the Centre for Research on Space/Writing (CREE) of the University of Paris West Nanterre. The Team of Interdisciplinary Research on Cultural Areas (ERIAC) of the University of Rouen Normandy. and the Society for Activities and Research on the Indian world (SARI). for their generous support for this project. The secular tone of the Jātaka tales make them fine examples of the moralistic, aphoristic strain in Indian literature, in which virtue is extolled and vice condemned. Further, the tales present diverse possibilities for human conduct, each leading to different kinds of destiny. The Jātaka tales are not only part of the Buddhist canon, but show a way of life integral to the India’s socio-cultural heritage. In the context of 20th century pre-Independence India, the Jātaka tales articulated the imagination of the populace as it tried to forge symbols for a new nation. Consequently, Mahatma Gandhi and Rabindranath Tagore counterbalanced the colonial agenda with a parallel engagement with the repository of cultural memory invested in the Jātakas. According to them, the Jātakas not only reflected the pluralistic geography of the subcontinent, but also helped to reconstruct the past and create meaning for a changing present. This article explores how the reception of the Jātaka tales in the 20th century India thrives on the concepts of plurality and inclusiveness and mobilize the categories of “caste”, “class”, “religion”, “tradition” and “modernity” to define alternative understanding of “individual” and “community”. Further, through ideas on education, social movements and community involvement as articulated in the writings of Gandhi and Rabindranath, the Jātakas signify a real, complex trajectory of a nation with its triumphs and failures, strengths and weaknesses, clarities and confusions. 1At a juncture where a multiplicity of visions, knowledge, and information provide a daunting combination of idealism and pragmatism, the “order of existence” as manifest in “religion” puts one in a quandary. On the one hand, it seems like a nebulous concept, furtively enshrined and remembered in a dusty corner of one’s mind. On the other, it seems “religion” is simultaneously a disruptive and reassuring “text” which delineates the boundaries for the insider/ outsider and thus constitutes and conforms communities from the margins and beyond. How do we then articulate religion today within the realm of public discourse and personal convictions? In order to access religion beyond simplified binaries and perhaps, establish “secular” authority, one may approach its myriad roles through a concentrated, systematic understanding of the observance of religion at the personal level and in relation to its larger resonance in the community. 2In this article, I would like to formulate an often inaudible dialogue within a possible secular space from notions of justice as perceived in the Jātakas and Buddhism as imagined by two contemporaries of an emerging “modern” nation – Rabindranath Tagore and Mahatma Gandhi. The secular tone of the Jātaka tales make them fine examples of the moralistic, aphoristic strain in Indian literature, in which virtue is extolled and vice condemned. Further, the tales present diverse possibilities for human conduct, each leading to different kinds of destiny. 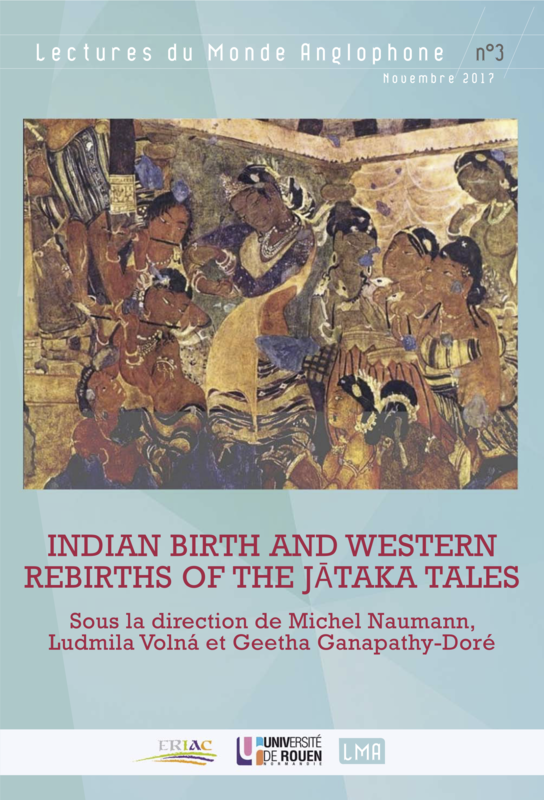 The Jātaka tales are not only part of the Buddhist canon but show a way of life integral to India’s socio-cultural heritage. In the context of 20th century pre-Independence India, the Jātaka tales articulated the imagination of the populace as it tried to forge symbols for a new nation. Consequently, Mahatma Gandhi and Rabindranath Tagore counterbalanced the colonial agenda with a parallel engagement with the repository of cultural memory invested in the Jātakas. According to them, the Jātakas not only reflected the pluralistic geography of the subcontinent but also helped to reconstruct the past and create meaning for a changing present. This article intends to explore how the reception of the Jātaka tales in the 20th century India thrives on the concepts of plurality and inclusiveness and mobilize the categories of “caste”, “class”, “religion”, “tradition” and “modernity” to define alternative understanding of “individual” and “community”. Further, through ideas on education, social movements and community involvement as articulated in the writings of Gandhi and Rabindranath Tagore, the Jātakas signify a real, complex trajectory of a nation with its triumphs and failures, strengths and weaknesses, clarities and confusions. 4In the first one, Buddha narrates the story of the present along with stories of the last existence of the six previous Buddhas, from Vipasi to Kassapa. In the latter three, the Buddha narrates different stories of the past. The past is conceived as immediate and remote (avidura and dura). In the Pali – Jātaka commentary, the atitavatthu or Jātaka proper is always introduced with the word “atite” (in the past, in times gone by). Paccupannavatthu and the atitavatthu are integral to the narrative of the Jātaka . The other two elements of the Jātakas comprise the gatha or verse (only part recognized as canonical) and the samodhana or conclusion where the Buddha weaves the stories together and draws a trajectory between the situation and protagonists of the past. Jātakas, as we know, have been regarded as the closest approximation to the popular, which enables cognizance of a relatively remote past. Kumkum Roy writes « Jātakas were probably regarded as sacred but not sacrosanct »3. Integral to the Jātakas was the act of storytelling. Gathas were complex narratives followed by a prose commentary. They deal with the everyday: excessive taxations, wicked kings, robbery. Engagement with unrighteousness is juxtaposed to an understanding of “sippa” or art (Sanskrit silpa) for learning as opposed to vijja (or Sanskrit vidya, knowledge). Brahmanas and princes are in a perennial quest for sippa in Takkasaila, which also encapsulates knowledge of the vedas. Roy notes that the Brahmanical order of “dharma” and “artha” are reversed in the Jātakas – the king’s adviser is always attha-dhammanusasaka, which puts the semiotics in opposition to the high tradition of Sanskrit. Moreover, stories of the past are located in a secular space – in the city or “nagara” – bypasses centres of political power like Pataliputra. The attempt to create an ahistorical context allows the storyteller to explore issues beyond hegemonic parameters, and which may be resolved through « the deployment of skill, wit, wisdom, presence of mind, valour and even violence »4. The secular aspect of the Jātaka narrative centres on the identification of a protagonist with the Bodhisatta. The protagonist is represented variously as fish, bird, animal, devata, merchant, potter, acrobat, canadala, farmer and so on. Egalitarianism is the bedrock of the Jātakas. Again the ubiquitous Bodhisatta reminds us of the intimate connections between the stories and Buddhism. 5Both Rabindranath Tagore and Gandhi, voracious readers and one may call them connoisseurs in world religions, reimagine the Buddha and Buddhism from the vast repertoire of Buddhist literature. Both consider him to be the « greatest of men », the Hindu among Hindus. It was not Buddha as an avatar or a God-man which appealed to both these men. It was the humane side of Buddha which marked a point of reference – the Buddha of the everyday. Buddhism was part of their collective memory. 6The publication of Edwin Arnold’s biographical work on the Buddha - Light of Asia (1879), Girishchandra Ghosh’s play based on Arnold’s work entitled Buddhadeva Charit (staged in 1885, published in 1887), and the 19th century religious reformist movements in India were conducive to the rebirth of Buddhism. Three particular events further helped the cause of Buddhist revival in India and in Bengal in particular. In 1891, Anagarik Dharmapal (1864-1933) from Ceylon established and founded the Mahabodhi Society in Calcutta. In 1892, the Buddhist Text Society was founded by Saratchandra Das and the Bengal Buddhist Association was formed by Mahasthabir Kripasaran. The Chicago Conference of 1893 where both Dharmapal and Vivekananda had been participants, the latter had expressed his admiration for the Buddha’s radical humanism. Further, in 1899, Krishna Bihari Sen’s Buddhacharit was serialized in the newly founded journal Sadhana, with which Rabindranath Tagore had been associated since its inception. I am a devotee of Buddha. I have no doubt about Buddha’s mortal existence. Still when I go to that holy place [Gaya], where they preserve a tooth of Buddha, when I see the stone which bears the imprint of Buddha’s feet, then I feel how much do I get him5. Brahma-vidya, the cult of Brahma, the Infinite Being, has for its object mukti, emancipation, while Buddhism has nirvana, extinction. It may be argued that both have the same idea in different names. But names represent attitudes of mind and emphasise particular aspects of truth. Mukti draws our attention to the positive, and nirvana to the negative side of truth. Buddha kept silence all through his teachings about the truth of the Om, the Everlasting Yes, his implication being that by the negative path of destroying the self we naturally reach that truth. Therefore he emphasised the fact of dukha, misery, which had to be avoided. But the Brahma-vidya emphasised the fact of Ananda, Joy, which had to be attained. The latter cult also needs for its fulfilment the discipline of self-abnegation; yet it holds before its view the idea of Brahma, not only at the end, but all through the process of realisation7. generated two divergent currents; the one impersonal, preaching the abnegation of self through discipline, and the other personal, preaching the cultivation of sympathy for all creatures, and devotion to the infinite truth of love8. 10Therefore, Buddhism involved a dual understanding of contemplation and action. Further, Buddha as the liberal, rational and unprejudiced man deeply intrigued a nature as sensitive as Rabindranath Tagore. His keen interest in the pragmatic nature of the Jatakas leads to the formulation of his anti-colonial discourse. During the period of Buddhism the doctrine of deliverance flourished, which reached all mankind and released man’s inner resources from neglect and self-insult. Even to-day we see in our own country human nature, from its despised corner of indignity, slowly and painfully finding its way to assert the inborn majesty of man. It is like the imprisoned tree finding a rift in the wall, and sending out its eager branches into freedom, to prove that darkness is not its birthright, that its love is for the sunshine. In the time of the Buddha the individual discovered his own immensity of worth, first by witnessing a man who united his heart in sympathy with all creatures, in all worlds, through the power of a love that knew no bounds; and then by learning that the same light of perfection lay confined within himself behind the clouds of selfish desire, and that the Bodhi-hridaya – “the heart of the Eternal Enlightenment” - every moment claimed its unveiling in his own heart9. 12It is through the deliverance from avidya that the self may be unfettered. Tagore’s engagement with Buddhism may be linked to his quest of truth. For him, Buddha was the means to be free of oppression, casteism, and racism. Gandhi for Tagore was a similar source of freedom. In the 1923 piece entitled « Ethics of Destruction », Tagore writes, « When Lord Buddha voiced forth the truth of compassion for all living creatures, which he had obtained as the fruit of his own self-discipline, the manhood of India was roused and poured itself forth in science and art and wealth of every kind »10. In this prophetic view on Buddha, Tagore draws attention to the frailty of public memory within the tumultuous forces of history. 13How is memory and history constructed/ interpreted/ transmitted/transformed? How do voices and silences in narratives shape memory and history? The complex relationship between memory and history reveals that « history is willing to question the epistemological status of its object of study – the past – but less ready to engage with how “the past” itself is variously conceptualised and constituted as history, memory, or archive »11. In this context, the significance of narratives in the study of memory and history for our understanding of culture and the construction of meaning foreground contests in the past, and social and political dimensions of memory – experienced, produced and conveyed through diverse media. The basic premise of memory has been its relentless effort to resist often inaccurate and fabricated central narratives of control called “history”. Memory acts as a safeguard against attempts to silence voices of transgression and dissidence, and in turn memory is often implicated in that silencing. Situating the role of memory and historical events within local, national, transnational contexts and temporalities, one formulates a broader conversation about the making of race and nation, the history of a nation and public memory, aesthetic responses to violence and memorialisation practices. In order to negotiate the omissions of history and its authoritarian position, alternative accounts of oppression and injustice have been sought: « It appears more a case of disenchantment, a sense of unease; a rejection of history written with a capital H… Some have gone to the extent of stating that history doesn’t make sense whereas memory is concrete. In other words, what is important is to recollect the past in our own ways rather than through this particular history written with a capital H »12. The discourse of memory is concerned with representation and the present, as opposed to only the past and “fact”. Moreover, it subverts the absolutist assertion of historical truth and approaches the past in a more qualified manner, albeit provisionally and subjectively. As memory is framed against history, a narrative of exclusion, extermination and resistance is created, and the “truth claim” of the narrative challenges established hierarchies of race, class, caste and gender. Questions on the relation between memory and history are articulated within a larger framework of the relation between past and present. The encounters between memory and history are staged through narrative, which is in itself a construction, a representation in diverse interdisciplinary forms – literature, film, new media, performance, art. The blurred and fluid boundaries between history and memory are most apparent in narratives which have resisted mainstream ideas of history and have created a collective story or what Ronald Takaki refers to as a community of memory13. The Mahatma has won the heart of India with his love; for that we have all acknowledged his sovereignty. He has given us a vision of the “shakti” of truth; for that our gratitude to him is unbounded15. 15In fact, the enduring and contemporaneous nature of Tagore’s vision must be juxtaposed to the philosophy of inclusive humanity on the basis of equality, empathy and freedom as espoused by Gandhi himself. 17He rejects the doctrine of the sword and invokes ahimsa as a means to peace and what he terms as « honourable settlement »16. In a discussion on non-violence as a political strategy to attain freedom with Kalidas Nag before June 18, 1938, Gandhi writes: « Faith can be turned into knowledge by experience, and it can only come through the heart and not the intellect »17. One needs to connect Gandhi’s political conception of ahimsa to Buddhist pragmatic ethics and the limitations of truth. Finite beings, he believed, could only understand finite truth. For Gandhi, as he explains in the short tract « Why I am a Hindu », Jainism and Buddhism were integral to Hinduism18. In a speech in response to Buddhists’ Address in Colombo on 15 November 1927, Gandhi perceived « Nirvana » as utter extinction of all that is base and that the Buddha did not disbelieve in God but the “usurper” in God’s place. Further, he upheld the sanctity of life prescribed by the Buddha. Gandhi mentions how he has been accused of being a Buddhist rather than a sanatan Hindu, and how he feels proud of the fact and acknowledges his indebtedness to the Enlightened One19. In a speech given at a prayer meeting in New Delhi on 2 May, 1947, Gandhi speaks about how religion is born from dying and not killing, « Today people are scared at the mere mention of religion »20. However, religion entailed a sense of freedom – not merely political freedom but freedom of the mind from the rigidity of normative systems. Buddhism, which he describes as one long prayer21, was a means of overcoming insurmountable boundaries and stereotypical identities. For him, « prayer was an expression of the definitive and conscious longing of the soul…a plea, a preparation, a cleansing that enabled him to hear his inner voice »22. Therefore, to consider a religion in its entirety as a single prayer would be the highest accolade he could bestow. In his discussions on the constant practice of righteousness and performance of duty, the Mahatma quotes from various sources of traditional wisdom including Buddhism. He draws attention to the four sins of speech in Ethics of Buddhism, viz. 1. Lying 2. Slander 3. Abuse 4. Unprofitable conversation23. As an “exemplar” democrat for whom “swaraj” or “self-rule” involvement attainment of a capacity of absolute self-knowledge, Buddha’s rationality and constant quest for truth held possibilities for Gandhi’s vision of absolute freedom. Gandhi’s engagement with an open-ended interpretation of traditional texts, symbols and rituals and social structures moves beyond dead social orders defined by the narrowness of sympathy and autocratic obsolete traditions. 18Buddhism for both Tagore and Gandhi epitomize a sense of justice. Justice in the Jātakas is embodied in the pancasila– the five virtues that every day lay Buddhist monks and nuns were expected to adhere. These included abstinence from taking life, from taking that which is not given, from misconduct stemming from desire (kama), from telling lies and from consuming intoxicants. The space of justice in the Jātakas is called the vinichhaya or the dhammasabha, with the Bodhisatta as the arbitrator of justice. Consequently, the Jātakas function as a narrative commentary on alternative perspectives on the nature of justice and judicial procedures. Active intermediaries in the judicial procedures constituted people/ mahajanas, multitude, nagarakas, city dwellers, or citizens, janapadas or country folk, brahmanas and gahapatis (priests and householders) within the perimeters of the secular space envisaged in the narratives. The relationship between the ruler and the ruled is subject to constant questioning and reworking on the basis of justice which leads to a certain flexibility within the traditional nexus of power relations. Each narrative performance « carries the potential to rearrange the structure of social relations within the performance event and perhaps beyond it »24. Normative structures are consequently disrupted through individual and collective actions. Integral to all historical societies are exploitative relationships. Jātakas and the thoughts of Tagore and Gandhi on Buddhism manifest the material conditions of man and how he conceptualizes the world he lives and works in. A space of protest is created. 19Today, one is wary of “religion” – of what it may connote and how one’s affinities towards any form of religion may define one’s proclivities as a so-called global citizen. Therefore, in order to gauge the “unease” generated by religion, it becomes imperative to understand the structures of expectation and to formulate possibilities of an “ethical” dialogue within its very framework. The possibility of a conversation between the Jātakas, Tagore and Gandhi has been more than often thwarted since the idea of a deity has been brought in the equation within a public agitation. Consequently, a structure of meaning is derived from the location of a deity in a particular place (for instance, the demolition of the Babri Masjid in 1992)25, which in turn has complicated the public realm beyond recognition. However, the ability to listen to the conversation foregrounds a real, complex trajectory of a nation with its triumphs and failures, strengths and weaknesses, clarities and confusions. In the present day context of a glocal world, the relevance of religion can be sought through questions on socio-cultural, historical and rhetorical problematics shaping modern identity in India, which help understand the question of peripheral voices and their stories of marginalization. Alam Javeed, Sharma Suresh, « Remembering Partition », Seminar, 1998, no 461, p. 98-103. Barua B. M., Sinha K. G., Bharhut Inscriptions, Calcutta, University of Calcutta, 1926. Bauman Richard, Story, Performance, Event, Cambridge, Cambridge University Press, 1986. The Bichitra Tagore Online Variorum, Available online: <http://bichitra.jdvu.ac.in/content/text_files/english/non_fiction/cru/e_n_cru_004/e_n_cru_004_1922_w_01.txt>, Accessed 20 September, 2016. Davids T. W. Rhys, Buddhist India, New Delhi, Munshiram Manoharlal, 1999 . Gandhi Mohandas Karamchand, « The Great Sentinel », Young India, 13 October 1921. Gandhi Mohandas Karamchand, Collected Works of Mahatma Gandhi, Vol. 4 1903 to 1905, New Delhi, The Publications Division Ministry of information and broadcasting Government of India, 1960. Gandhi Mohandas Karamchand, Collected Works of Mahatma Gandhi, Vol. 35 September 1927 to January 1928, New Delhi, The Publications Division Ministry of information and broadcasting Government of India, 1969. Gandhi Mohandas Karamchand, Collected Works of Mahatma Gandhi, Vol. 67 1 April 1938 to 14 October 1938, New Delhi, The Publications Division Ministry of information and broadcasting Government of India, 1976. Gandhi Mohandas Karamchand, Collected Works of Mahatma Gandhi, Vol. 70 16 July 1939 to 30 November 1939, New Delhi, The Publications Division Ministry of information and broadcasting Government of India, 1977. Gandhi Mohandas Karamchand, Collected Works of Mahatma Gandhi, Vol. 87 21 February 1947 to 24 May 1947, New Delhi, The Publications Division Ministry of information and broadcasting Government of India, 1983. Hodgkin Katharine, Radstone Susannah, Contested Pasts: The Politics of Memory, London, Routledge, 2003. Kundu Rama, « In Thine Immeasurable Mercy and Goodness: Buddha in Tagore’s Imagination », in Ray Mohit Kumar (éd. ), Studies on Rabindranath Tagore, Vol. 1, New Delhi, Atlantic Publishers, 2004, p. 213-252. Panikkar K. N., « Religious Symbols and Political Mobilization: The Agitation for a Mandir at Ayodhya », Social Scientist, 1993, vol. 21, no 7/8, p. 63-78. Roy Kumkum, « Justice in the Jatakas », Social Scientist, 1996, vol. 24, no 4/6, p. 23-40. Suhrud Tridip, « Gandhi liked to think of himself as a democrat », Seminar, 2015, no 674, Available online: <http://www.india-seminar.com/2015/674/674_tridip_suhrud.htm>, Accessed: 21 September, 2016. Tagore Rabindranath, « An Indian Folk Religion », in Creative Unity, 1922, Available online: <http://tagoreweb.in/Render/ShowContent.aspx?ct=Essays&bi=72EE92F5-BE50-40D7-AE6E-0F7410664DA3&ti=72EE92F5-BE50-4A47-7E6E-0F7410664DA3&ch=c>, Accessed: 20 September, 2016. Tagore Rabindranath, « To the Indian Community in Japan », Japan Jatri, 1919, p. 117-125. Tagore Rabindranath, « Letters to a Friend », in Das Sisir Kumar (éd. ), The English Writings of Rabindranath Tagore, Vol. 3, New Delhi, Sahitya Akademi, 1996, p. 285-286. Tagore Rabindranath, « The Call of Truth », in Das Sisir Kumar (éd. ), The English Writings of Rabindranath Tagore, Vol. 3, New Delhi, Sahitya Akademi, 1996, p. 412-421. Takaki Ronald, Strangers from a Different Shore: A History of Asian Americans, Boston/New York, Little Brown and Co, 1998. 1 T. W. Rhys Davids, Buddhist India, New Delhi, Munshiram Manoharlal, 1999 , p. 192-194. 2 B. M. Barua, K. G. Sinha, Bharhut Inscriptions, Calcutta, University of Calcutta, 1926, section ii. 3 Kumkum Roy, « Justice in the Jatakas », Social Scientist, 1996, vol. 24, no 4/6, p. 23-40. The quotation comes from page 24. 5 Quoted in Rama Kundu, « In Thine Immeasurable Mercy and Goodness: Buddha in Tagore’s Imagination », in Mohit Kumar Ray (éd. ), Studies on Rabindranath Tagore, Vol. 1, New Delhi, Atlantic Publishers, 2004, p. 213 from Rabindranath’s Caritrapuja. 6 Rabindranath Tagore, « To the Indian Community in Japan », Japan Jatri, 1919, p. 117-125. 7 Rabindranath Tagore, « Letters to a Friend », in Das Sisir Kumar (éd. ), The English Writings of Rabindranath Tagore, Vol. 3, New Delhi, Sahitya Akademi, 1996, p. 285-286. 8 The Bichitra Tagore Online Variorum, Available online: <http://bichitra.jdvu.ac.in/content/text_files/english/non_fiction/cru/e_n_cru_004/e_n_cru_004_1922_w_01.txt>, Accessed 20 September, 2016. 9 Rabindranath Tagore, « An Indian Folk Religion », in Creative Unity, 1922, Available online: <http://tagoreweb.in/Render/ShowContent.aspx?ct=Essays&bi=72EE92F5-BE50-40D7-AE6E-0F7410664DA3&ti=72EE92F5-BE50-4A47-7E6E-0F7410664DA3&ch=c>, Accessed: 20 September, 2016. 10 Rabindranath Tagore, « The Call of Truth », in Sisir Kumar Das (éd. ), The English Writings of Rabindranath Tagore, Vol. 3, New Delhi, Sahitya Akademi, 1996, p. 412-421. The quotation comes from page 418. 11 Katharine Hodgkin, Susannah Radstone, Contested Pasts: The Politics of Memory, London, Routledge, 2003, p. 3. 12 Javeed Alam, Suresh Sharma, « Remembering Partition », Seminar, 1998, no 461, p. 98-103. The quotation comes from page 99. 13 Ronald Takaki, Strangers from a Different Shore: A History of Asian Americans, Boston/New York, Little Brown and Co, 1998. 14 Mohandas Karamchand Gandhi, « The Great Sentinel », Young India, 13 October 1921. 15 Rabindranath Tagore, « The Call of Truth… », art. cit. 16 Mohandas Karamchand Gandhi, Collected Works of Mahatma Gandhi, Vol. 67 1 April 1938 to 14 October 1938, New Delhi, The Publications Division Ministry of information and broadcasting Government of India, 1976, p. 37 (abbreviated CWMG in the following footnotes). 18 Mohandas Karamchand Gandhi, CWMG, Vol. 35 September 1927 to January 1928, p. 167. 20 Mohandas Karamchand Gandhi, CWMG, Vol. 87 21 February 1947 to 24 May 1947, p. 399. 21 Mohandas Karamchand Gandhi, CWMG, Vol. 70 16 July 1939 to 30 November 1939, p. 28. 22 Tridip Suhrud, « Gandhi liked to think of himself as a democrat », Seminar, 2015, no 674, Available online: <http://www.india-seminar.com/2015/674/674_tridip_suhrud.htm>, Accessed: 21 September, 2016. 23 Mohandas Karamchand Gandhi, CWMG, Vol. 04 1903-1905, p. 394, « Oriental Ideal of Truth ». 24 Richard Bauman, Story, Performance, Event, Cambridge, Cambridge University Press, 1986, p. 4. 25 See K. N. Panikkar, « Religious Symbols and Political Mobilization: The Agitation for a Mandir at Ayodhya », Social Scientist, 1993, vol. 21, no 7/8, p. 63-78. Debashree Dattaray is Assistant Professor in Comparative Literature and Deputy Coordinator, Centre for Canadian Studies, Jadavpur University, Kolkata. She has been the recipient of a CICOPS Fellowship at University of Pavia, Italy, Fulbright-Nehru Visiting Lecturer Fellowship at UC Berkeley, the Erasmus Mundus Europe Asia Fellowship at the University of Amsterdam and the Fulbright Doctoral Fellowship at State University of New York, Stony Brook. Her areas of research and publication are North East Indian Literatures, Indigenous Studies, Narrative Studies, Gender, Folklore, Canadian Studies and Comparative Indian Literature Methodology. She is author of Oral Traditions of the North East: A Case Study of Karbi Oral Traditions (2014) and has coedited with Suchorita Chattopadhyay a volume of essays on Indigenous and Diasporic studies entitled At the Crossroads of Culture and Literature (2016).